Why do you need a good SEO audit tool? First reason- you don’t know whether your works are going right or wrong. The SEO audit software shows you both the right and wrong SEO of your site. So, you can take measures to improve your site if there are any bad SEO issues.And you can reshape your works if there are any SEO prospects. You will get many website review software or tools on the internet. But, to find out the best one is a little bit difficult. I have come with top 12 SEO auditors that you can use to get the most reliable and true reviews of your website’s SEO. Okay, let me tell you about the best SEO audit tool. SEOPtimer is a tool for SEO audit and website review. It is easy to use, simple and rapid method to audit your website’s SEO. If you are a marketer, businessman, programmer or a webmaster, you can use it. It checksthe page you indicate and gives you a whole report about what the issues are to be fixed up for improving your SEO on that page. My Site Auditor is a trusted SEO audit stuff that gives you many SEO leads. To use this tool, first you must personalize it by embeddingon your site. Then see your email and lots of SEO leads are there. This auditor is a quick way of testing your website. Found SEO Audit Tool is mostly used to find out the simple SEO mistakes you have done on your website. After analyzing your pages, it provides you with link data, Meta tags, content and other technical issues that you have to repair. 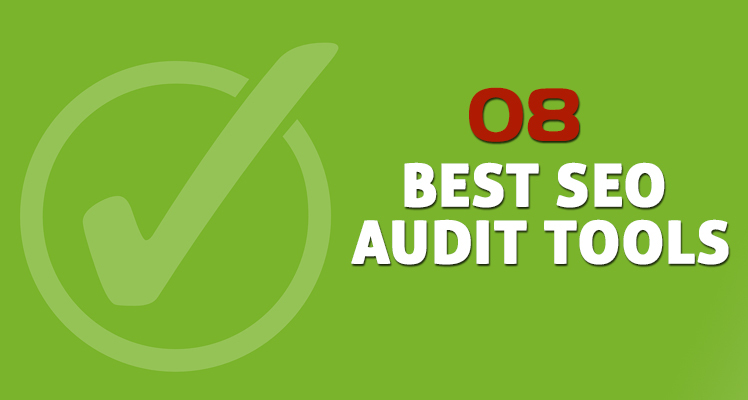 No doubt to say, SEO Auditor is one of the best free SEO or website auditors. After testing your site, this tool shows you top 10 keywords, robots.txt files, sitemap.xml files, Google page speed, social status and DA & PA data. All these reports help you to reconstruct your SEO and your site. Raven Tools provides you with a reliable service for a complete website survey. It is mainly a software that won many awards for SEO auditing. So, it can be your regular SEO auditor. Do you want a rapid and fast website report? Then WooRank is the best SEO audit tool for you. The clients of the WooRank checkover 75,000 websites per month by this tool. So, undoubtedly it is one of the biggest software for website reviewing. It can be used for digital marketing, SEO purposes, small business, large agencies or companies. 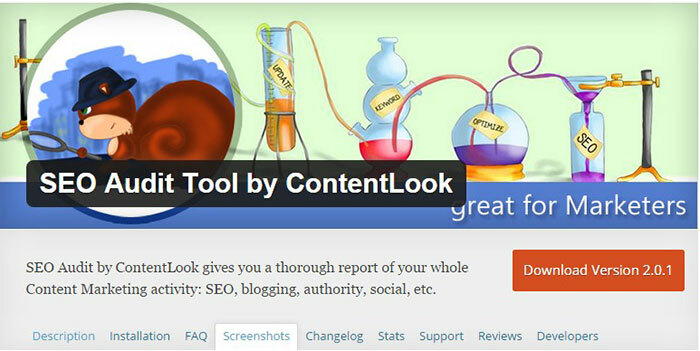 SEO Audit Tool by ContentLook is a top one for surveying WP sites. It can give you a good analysis of your social signals, authority status, blogging situation, SEO activities, and article marketing. This software digs into the deep of your site and exits out the most helpful report. The SEO spider of Screaming Frog is just a simple software that you can set up on your Mac, PC, and Linux. This tool reviews your site’s CSS, script, images, links, apps, contents, Meta tags and other SEO options. The Screaming Frog is a leading website reviewtool for checking both the simple and big SEO mistakes. The above SEO audit tools are mostly used by the marketers and website owners. Besides, there isthe 4 website audit software that also works effectively. You can use them. Finally, you should remember that no SEO audit tool is actually free for a longer period of time. They have all free trial versions. After finishingthe free trial, if you are pleased, then you can pick up their pro version.